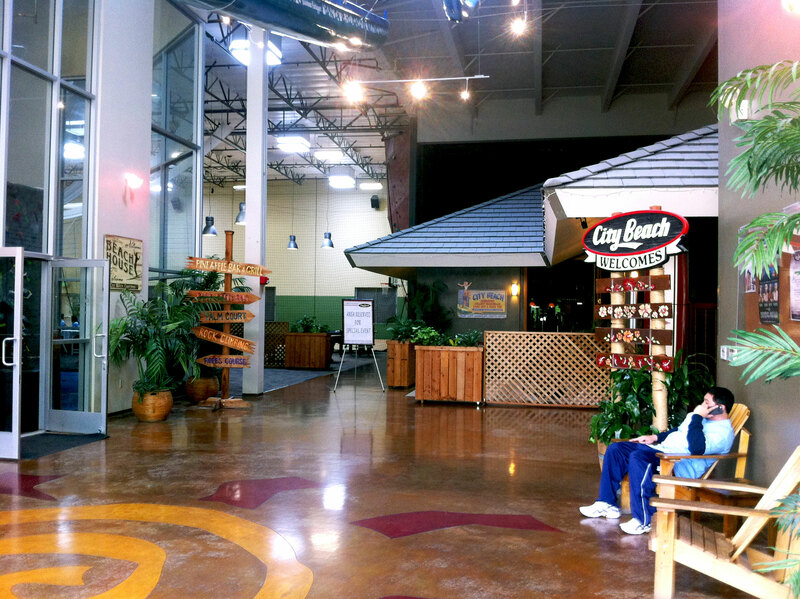 City Beach is the Bay Area’s one-of-a-kind family recreation, sports and corporate event center. This large urban activity center can host up to 1,500 guests and needed flooring that could withstand the pedestrian traffic while providing a fun graphical motif. 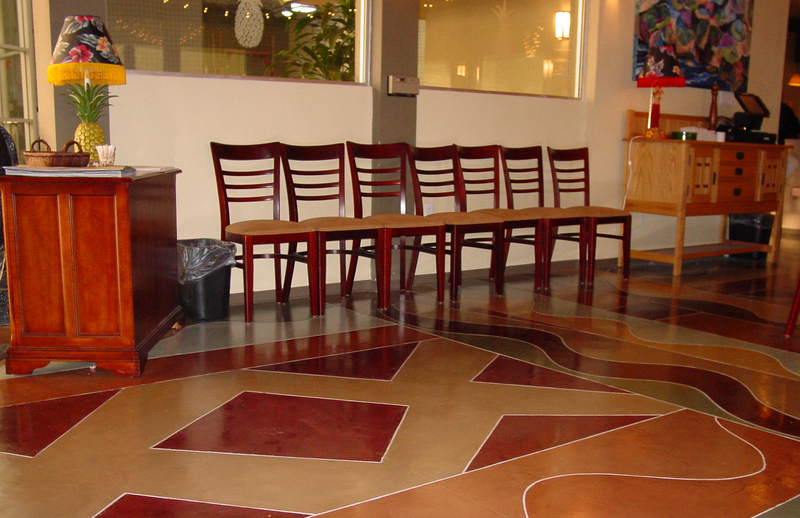 Bomanite Licensee, Bay Area Concretes, Inc. worked with COO, Michael Riter in choosing a Bomanite system and color scheme to fit with the atmosphere of this lively family friendly facility. Bomanite Micro-Top was chosen for it’s durability and wide color selections. 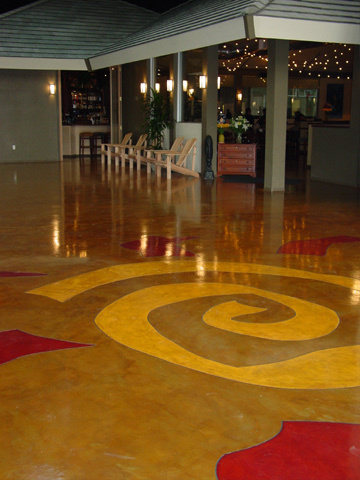 Bay Area Concretes installed 6,000 sq. ft. of Bomanite Micro-Top starting with creating a colorful “Sunshine” Graphic” at the City Beach entryway. 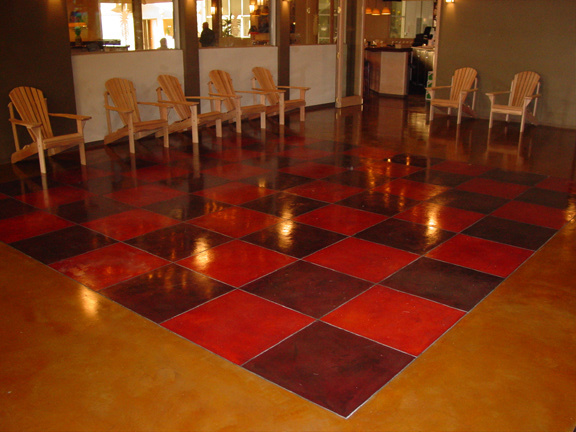 Multiple Micro-Top colors were used along with an overall wash of Bomanite Chemical Stain in Auburn and Pine. City Beach wanted an eye-catching human checkerboard element for their entertainment hub. 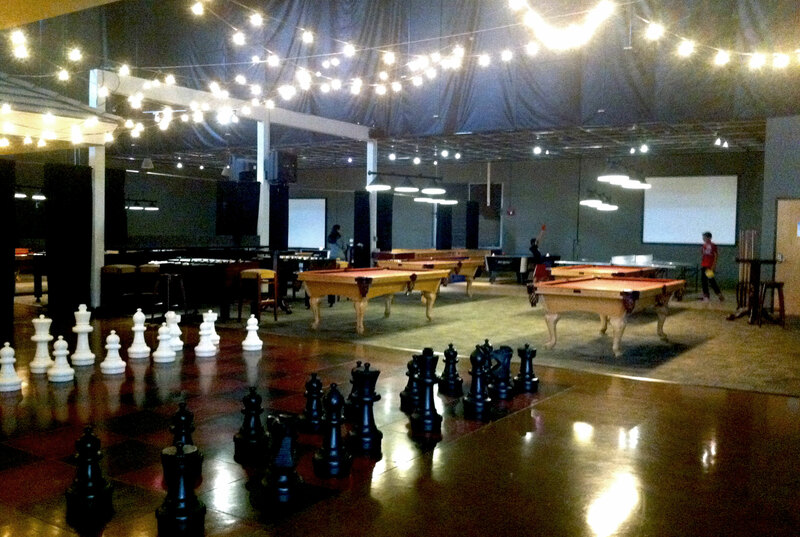 Custom Micro-Top colors were used to create the large game board on the floor, providing fun for all. 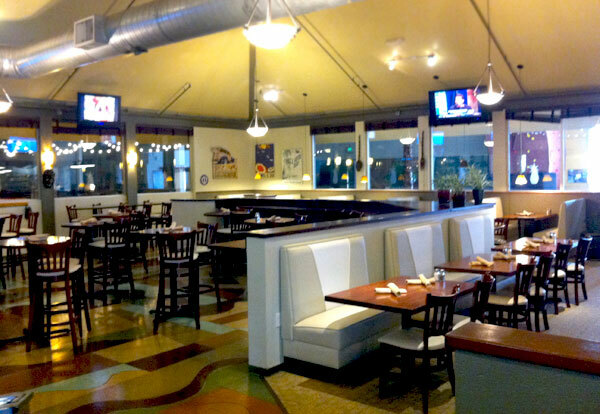 The City Beach Restaurant also received a playful floor that included an extensive sawcut scheme and custom color blend. Bomanite Micro-Top makes a bold statement of individual style and personality. Micro-Top provides a durable, colorfast, high-strength graphic splash to any project, making City Beach a one-of-a kind event center. Visit City Beach website to learn more about the activities available or to plan an event.